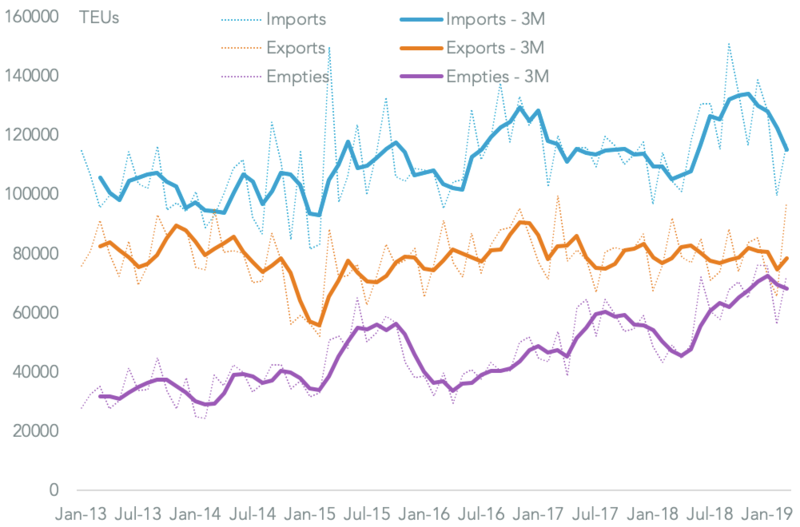 The big seven Japanese automakers had a strong month for exports in August, Panjiva analysis of company financial data shows, with a 4.5% increase vs. a month earlier. That came despite a 0.5% decline in domestic production but couldn’t reverse a 2.2% slide for the past three months in total. 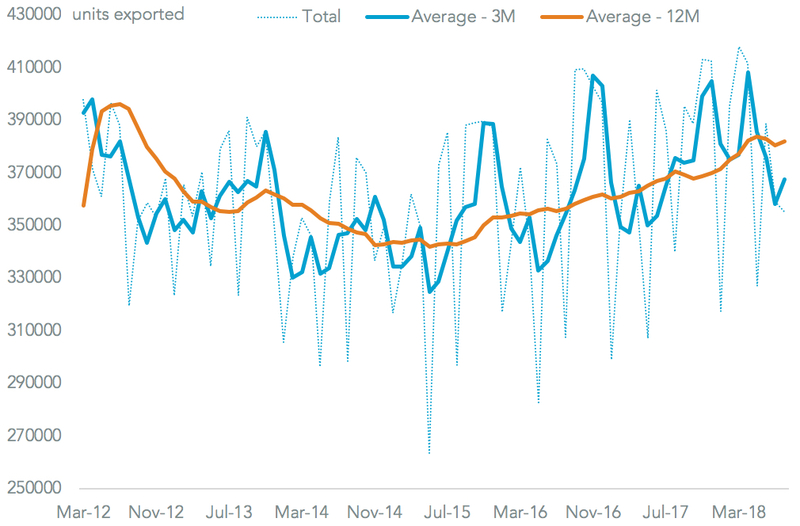 There may have been disruptions in production in September as a result of Typhoon Jebi, as outlined in Panjiva research of September 5. 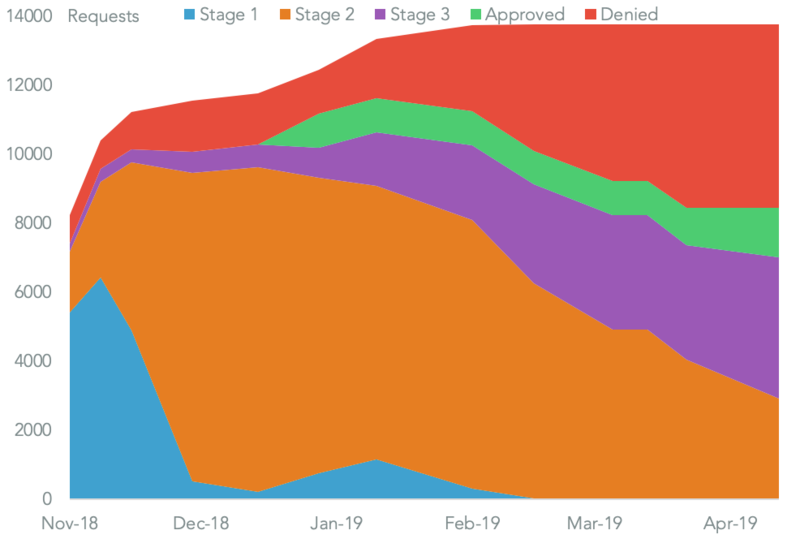 RECOVERY COASTING TO A HALT? 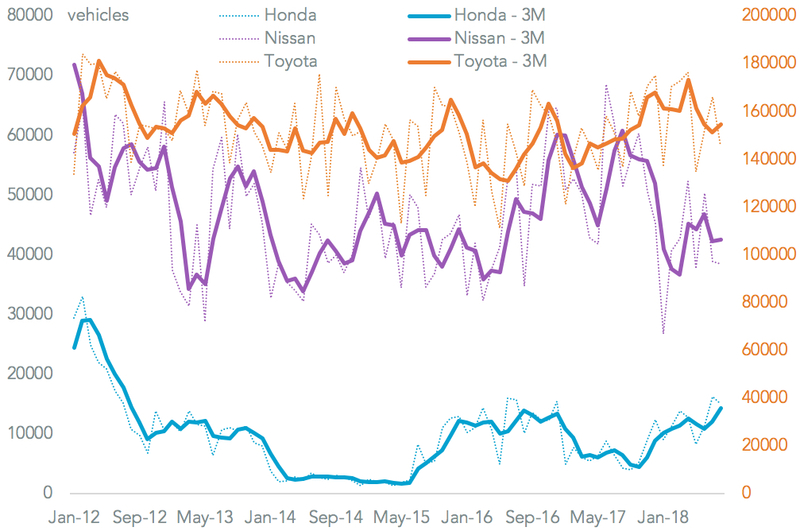 There was a marked divergence in performance between the automakers with Toyota’s exports having risen by 6.4% and Honda’s by 3.5x while Nissan (down 25.3%) and Suzuki (14.4% lower) both slipped. One midterm challenge that has been alleviated is exposure to the U.S. section 232 review of the automotive industry. The initiation of talks to create an free trade agreement between Japan and the U.S. likely includes an exemption for Japanese automotive exports from tariffs, at least temporarily. 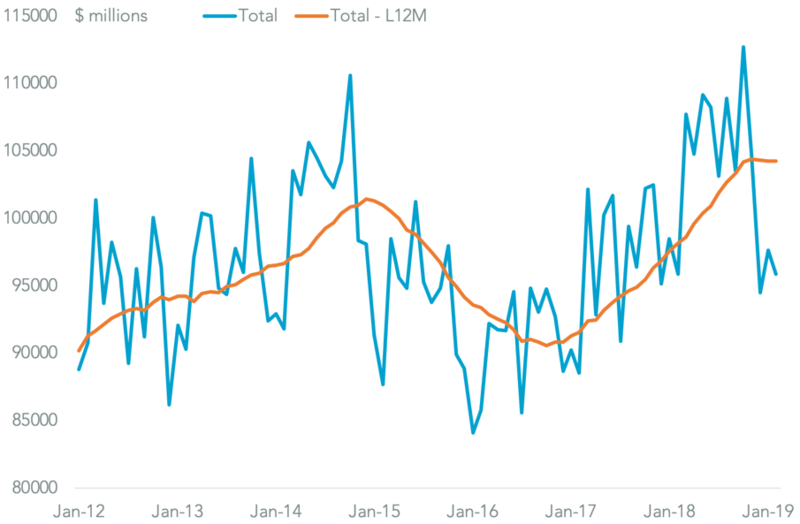 Concerns about the imposition of duties may have led the automakers to build inventories in the U.S. Panjiva data shows a spike in shipments in August of as much as 20.1% on a year earlier after a 7.0% increase in the previous three months. 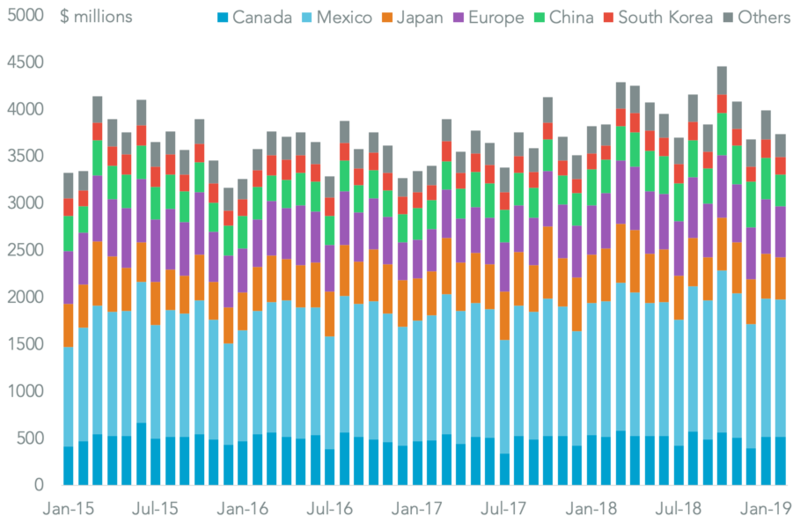 Among the automakers’ U.S. imports, the arrival of shipments by Honda (26.2% higher) and Nissan (5.4x higher) were the largest drivers of the increase in imports, based on shipments that were despatch in July. 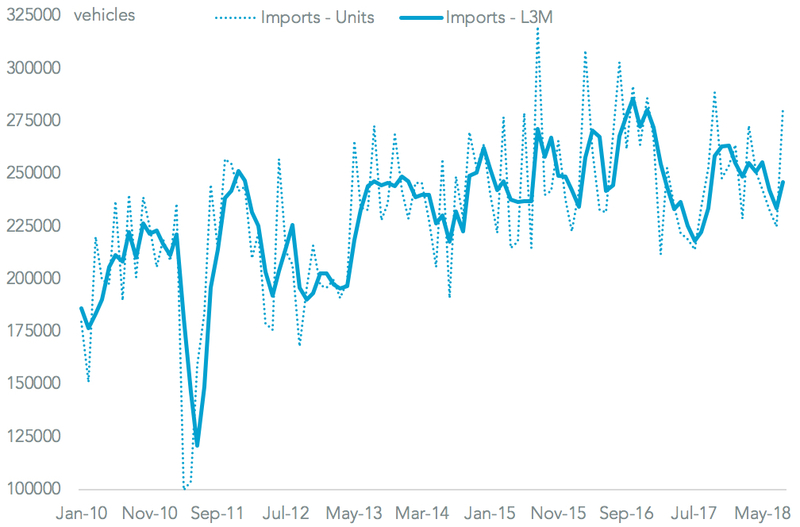 The reduction in the latter’s shipments in August may have trimmed overall U.S. import growth in September.